I believe that both children and their parents are made to be resilient, and that dreaming is not just for children. Parents and children together can bravely challenge the world to grow and live better lives. I believe that we can learn how to embrace and work through our past while living in the present and planning for the future. I believe that we can endure uncomfortable moments to realize our inner strengths, and that just past our fears lives our destiny. I believe that we inherently have strengths that are untapped and waiting to shine, and that humans cannot only withstand emotion but master it. For the past 10 years, Georgette has treated young children, adolescents, and their families. She excels in working within systems and specializes in family, adolescent, and parent-child treatments. Georgette uses her warmth, creativity, and clinical skills to help parents and kids develop solutions and grow together. She has experience working with children and youth with behavioral concerns, depressive symptoms, anxiety, trauma, grief, chronic illnesses, and those with immigration-related issues. She integrates play therapy, art therapy, and talk therapy in her individual, family, and group counseling work. In addition, Georgette is affiliated with Mary’s Center, where she engages in individual, family, and group work with children, adolescents, and adults. She specializes in Parent-Child Interaction Therapy, where she teaches both parents and other therapists how to intervene therapeutically within the parent-child relationship to address specific clinical or behavioral concerns with children, from ages 2 to 7. She coaches parents to actively shift current patterns of communication and relating and addresses both attachment and behavioral concerns. Georgette is fluent in Spanish. 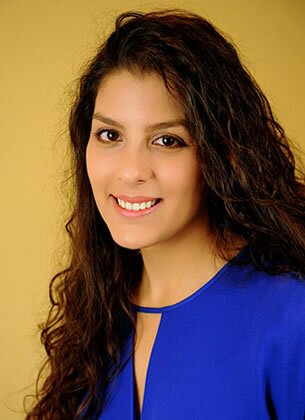 She is a Licensed Independent Clinical Provider in both the District of Columbia and Maryland. She received her BA in Social Work from New York University and her MSW at the University of Maryland, Baltimore.